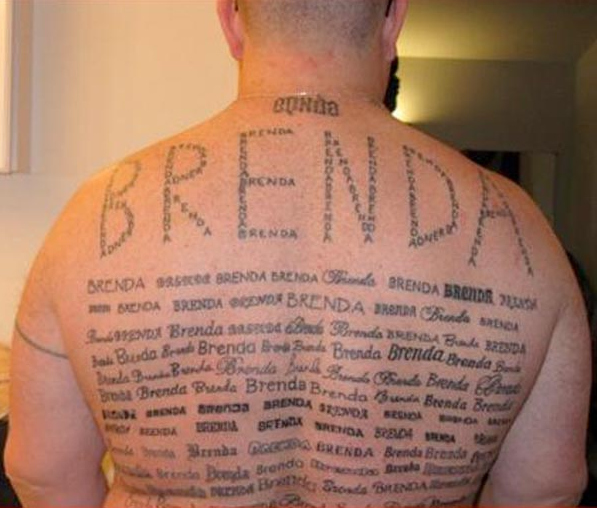 You know how it's a bad idea to get a girl's name tattooed on you? Multiply that by about a hundred. This photo of a name tattoo in many, many different typefaces has been circulating the Internet. I hope that the relationship lasts. "I don't know... I can see getting married, having a few kids, but a TATTOO? It's so PERMANENT."